"Choose life. Choose a job. Choose a career. 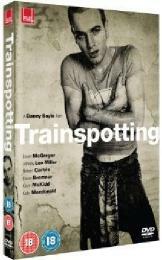 Choose a family..." This is the story of Mark Renton (Ewan McGregor) and his so-called friends - a bunch of losers, liars, psychos, thieves and junkies. Hilarious, but harrowing, the film charts the disintegration of their friendship as they proceed seemingly towards self-destruction. Mark alone has the insight and opportunity to escape his fate...but then again does he really want to `choose life`?